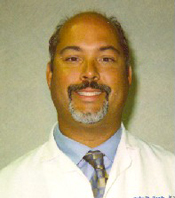 Medical Director - Pedro Tirado, M.D. Pedro W. Tirado, M.D. is a Board Certified Neurologist on the Medical Staff of Bethesda Hospital East. Dr. Tirado's practice, Neurology Associates of the Palm Beaches, is located at 2320 South Seacrest Boulevard, Suite 200 in Boynton Beach. Dr. Tirado earned his medical degree from the University of Puerto Rico School of Medicine. He completed his internship and residency in neurology as well as a fellowship in neuromuscular & EMG at the University of Miami-Jackson Memorial Hospital. Dr. Tirado serves as the Medical Director of the Bethesda Stroke Center, Palm Beach County's first Certified Primary Stroke Center as designated by The Joint Commission. He is a member of the American Board of Psychiatry and Neurology and the American Academy of Neurology. His clinical interests include memory loss, dizziness, unsteadiness, headaches, abnormal sensations in the body, tremors, stroke, TIA and neuropathy.